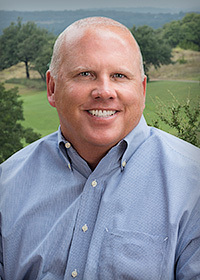 I’m Charles Mueller, Sales Associate for Cordillera Ranch. With 20+ years of experience in the real estate and legal professions, I am uniquely qualified to help you find that perfect home site that you’ve been searching for. Whether you’re looking for breathtaking Hill Country views, a golf course community lifestyle, or proximity to the pristine waters of the Guadalupe River, I welcome the opportunity to show you all that Cordillera Ranch has to offer. In the way of research… I have the best access to current, accurate sales data directly from the community. I have personally walked every single lot and nearly every home in Cordillera Ranch. I understand the community CCRs better than any other brokerage firm. And I can walk you through the Clubs of Cordillera Ranch membership process with ease. Most importantly, I am focused on selling only one community and I am committed to being the best at doing just that.